This weekend sees the North West Blood Bikes general meeting, which takes place at Barton Grange Hotel at 10am on Sunday morning. Will the members get answers to the questions that they have been asking for the last 6 months or will they be fobbed off with the answer about not being able to discuss subjects due to legal reasons! As far as we are aware there is no legal reason that members can’t have answers unless the committee and trustees feel that their answers may perjure themselves and highlight their failings in carrying out their roles. After they have finished carrying out their “security” duties on the door, maybe one of the trustees would like to stand up and explain why Scott Miller has said that the constitution, also known as the charities governing document, is optional. Every year at the members are expected to sign a declaration to say that they accept this governing document and will abide by the rules that are contained within it. Members have been removed from the charity for not accepting this “optional” document. It is our understanding that this governing document isn’t optional and in fact is a legal document and the contents should be followed by all members, no matter what position they hold in the charity, whether it’s a non-elected trustee or a person that has a charity box on their counter at work. Of course this only applies when it suits and the committee and trustees regularly step outside these rules, and get away with it because nobody challenges them through fear of being removed as a member for daring to have an opinion. None of our sources have seen any correspondence asking for nominations for these positions. Although the committee reserve the right to add a temporary appointment to fill spaces on the committee (Constitution 7-E), but the committee are now asking the members to accept this as a full appointment, a position that should be advertised for nominations and not just an name put forward by the committee. This section of the constitution also states that the person must resign at the next AGM and re-apply for their position on the committee. This rule also stands for the Chairmans position, so in theory a Chairman Elect may be voted in over the weekend, but then In May the position of Chairman may be opposed and the Chairman Elect will be voted out by the members. Are the committee asking for a change to the constitution and asking members to accept that the Chairmans position will not be up for re-election in May and that the members accept the chosen person put forward by the committee to be the head of the charity in 2019/2020? This sounds more like a friends network than an elected committee. The committee seem to have lost their way slightly and have forgotten that they are elected members and are there to represent the members and are answerable to the members. They are not there for fame and to stick their faces in front of the camera at every opportunity, they are there to ensure the charity is run correctly and represent the members. The members can at anytime submit a vote of no confidence in any elected appointment, and this also stands true for trustees who are elected by the committee. Is it odd that the current trustees were elected by the committee while they were committee members themselves? Was it a case of all sitting round a table and voting for themselves? There may be a case that with all the issues with the recent corruption allegations that surround the trustees and committee that the members do need to be asking are the trustees actually complying with their legal duties to the charity, and is it time that they were replaced with people who have experience in other sectors which will help the charity carry out it’s objectives. If we are really lucky we might finally get to hear the fleet managers 3 year bike replacement program. He has been working on this for some time now and is still shown as an outstanding action in the committee minutes. This will be some presentation and not worth missing. We’re pretty sure that he has now gone past the stage of “We’ve been offered a bike so we’re having it whether we need it or not” and has put together a good plan which will ensure bikes are replaced in a timely manner and while they still offer the best value for the charity. As with all general meetings and annual general meetings the accounts will be discussed. The members will be told there is a copy of the accounts at the front that they can look at. These documents should be made available to all members before the meeting. Why? If a member has an issue with the accounts or would like to raise a question, they can do so while the meeting is in progress, not after the meeting when their concern/observation won’t appear in the minutes. There may be questions raised over the sale and purchase of private bikes to and from the charity, or even why the charity objects to paying out of pocket expenses for volunteers. Have there been any unnecessary spending that the members need to know about? There are a lot of questions that can be raised just by looking at a set of accounts. We are also now starting to understand the minds of the committee. “Operations manager”? Was it a case of “I’ve had this idea for a new position….” hoping that people will have forgotten that it has been mentioned in a draft document in March and the term objected to by a couple of committee members. It’s not the first time and won’t be the last, it’s a case of justifying their position and pushing themselves into the limelight. Something we were looking forward to was hearing about how the events team have coped in 2018 and what were the plans going forward into 2019 to avoid conflicts of dates and major events not being attended by North West Blood Bikes. This could be included in the treasurers fundraising agenda item, but we personally think that events should be given a place on the agenda themselves since these are what brings the charity to the attention of the public and is one of the main opportunities to recruit new members by promoting the service. We will look forward to receiving a copy of the minutes to see if they actually reflect what was said or if they are a summary of what the committee want the public to know. 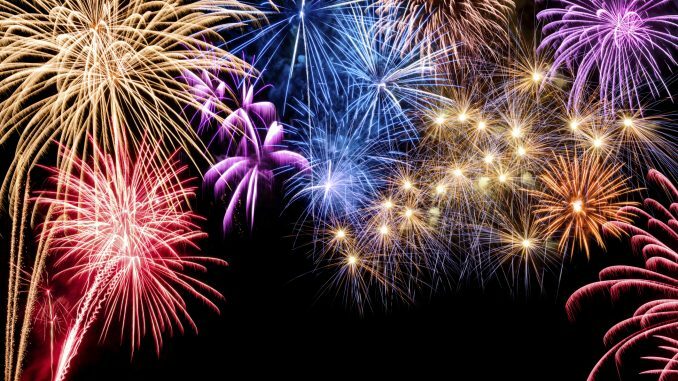 This weekend also sees bonfire night celebrations and fireworks will be going off all weekend. Whatever you’re doing stay safe. Well I will be attending and will be recording everything what is said. I have been following this website and can see that there are a lot of unanswered questions. I am unfortunately working but hope a report of what happened will be published after . As mentioned at the General Meeting yesterday, applications are now invited for the position of ‘Chair Elect’. For those not able to attend the GM yesterday (minutes to follow), all members present were asked to vote (and subsequently approved) running an election for the new Chairperson (the Chair Elect) to succeed Paul in advance of when he steps down at the AGM next May. This will allow the ‘Chair Elect’ enough time for handover and shadowing of Paul in his Chairman role. Would any member (with a membership greater than 12 months) wishing to apply for the position of Chair Elect, please send me their application by way of an email to secretary@nwbb-lancs.org, and include a summary of your skills, experience and suitability for the position, and, your aims and objectives in taking the Charity forward from next May. Note for your diaries, the AGM will be on Sunday 12th May 2019 at the Barton Grange Hotel. Great meeting to day with 132 members turning out. Thank you one and all for attending and your massive support, not just for me, but for the whole Committee, it was very much appreciated. I know many couldn’t attend because of duties and family, but to have 132 there was a massive show of strength and feeling. Take care and we’ll continue to do what we do. The minutes will be published as soon as possible. but there is still a core of members who have been with us either right at the start or soon after. Whether you are a new member or an old member, you all make this Charity what it is today. people”, and that’s what we are a great team! and we should all be extremely proud of that. the same. We are now being recognised as the 4th Emergency Service. to take on board what she says. and every other member, from the bottom of my heart for making it work”. • Income has increased by 33% compared with the previous year. 4 months of new Headquarters costs. • Donations generated at Sainsburys in Bamber Bridge and Morecambe. fuel (private and fleet bikes) and maintenance, insurance and trackers. Sara is going to put together stats showing the running costs per bike. of the transaction. This is important as the information is required for the VAT return. • Question 1 – Has the insurance increased due to the number of bikes? • Question 2 – Where does it show in the income that a bike is donated? Response 2 – It is shown as a monetary donation. • Question 3 – How much is a new bike approximately? • Question 4 – How much is the fleet insurance? A successful programme of events and talks has taken place throughout 2018. • Sue Park is our new North Area Events/Talks Coordinator. are and what we do’ message across. • There has been successful recruitment from events. Events/Talks Coordinator) and will be open to all in the Charity. Lee also mentioned that there will be new posters/banners for Events next year. manufacturers to obtain the best deals on purchase and service – BMW and Honda. o There have been no speed alerts, well done and please continue in this way. “Our first thoughts are for Duncan Oag, our outgoing and much respected controller Manager. controlling to the riders through his presentations. is invaluable and I advise him not to get too comfortable as a controller. those that missed it first time round. • No… Riders don’t have a controller for each area. Just one covering all! • No… there isn’t a given time to expect your confirmation text, but it will come! • And Yes… we are always there for you. information at once and gaining experience on the job is a difficult path. shortages. We are all capable of making decisions that can differ from what may be expected. pour ourselves into leathers or ride a bike. goes to bed himself. And sleep, is certainly not an option, until we know you are all home safe. rely on each other to achieve our common objective. covered 55 shifts and recorded 1,154 runs. Those Controllers that are here, are lost amongst a sea of black leather and fluorescent jackets. been averaging over 1,200 runs per month. all the other Managers for the excellent job they continue to do. events of May this year. largest, busiest and best group in the country. No small achievement by everyone. are we subjected to so much abuse? I of course make reference to more recent events. carry out our working and personal lives. It is fair to say that ‘if you carry the rank you carry the can’ and I am more than happy with that. person in this room now and if you are then you know who you are!! agree with his rantings. One person even calling for a vote of no confidence to be held today. Member suggested an applaud in show of confidence to the Committee. 1. Question: How many people have been suspended and what was the process? of the Charity. Unfortunately, no more information can be divulged. sign on delivery, what is the correct procedure? 3. Is there any scope for promotional material to be made available to hand out at talks? get any response. Is there any way this could be avoided? 6. Ian German asked if depreciation was being taken into account on the fleet bikes? to do additional calls after their regular run? • The general rule is that they do the regular run only. be revisited and discussed at the next “Managers” meeting on 17th November. With no further questions or business, the Secretary thanked all attendees and closed the Meeting. Paul Brooks is the ‘despicable character’ in all of this. He is a s### stirring liar, spreading malicious rumours about innocent people and stopping them from volunteering their own time to this corrupt charity because of his own personal feelings about certain volunteers. He is so far up his own a###! He needs to leave the charity immediately, but he won’t because he has his own interests at heart, NOT the charity’s! He is the one who is giving the charity a bad name. Leave now Brooks before you totally destroy this charity!